Djungarian hamsters is a small decorative rodents. Recently, this view is rapidly gaining popularity among lovers of domestic animals. Drugarice incredibly cute creatures, able to evoke sympathy from anyone with whom they managed to communicate. If you take this animal in your arms, you are unlikely to want ever to part with it. In a natural environment, hamsters live very little, averaging about twelve months. Such a short life expectancy caused by a wide range of dangers little Jungaria in the wild. A large number of natural enemies. 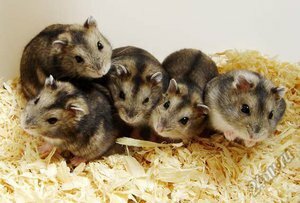 At home Djungarian hamsters can live two to three years, if the owners will take a responsible approach to the care and diet of your pet. In rare cases, some members of this species live to be four to five years, such individuals are considered to be long-lived. But such a long life for dsungarica is rare and cost the hosts enhanced care, attention and thought out diet. The death of a pet causes stress and shame. So before you decide to have Djungarian hamster should be understood that two or three years is a good time for such a small rodent and he is unlikely to live longer. Djungarian hamsters are the real owners, they absolutely do not tolerate the invasion of their territory and do not get along either with colleagues or with rodents of other species. So follow one of the main rules of the maintenance of these animals — each individual should have their own separate cage. To settle in the same cage for multiple hamsters in any case impossible, as they will compete for territory and as a result vary with each other to fight. Such competition will adversely affect the longevity and health of Jungaria. In stores with pet products on sale you can see the special cotton wool for a rodent “nest”. This product is in any case impossible to give Djungarian hamsters. Because of its small size, Dzungaria can be very oneself the material and be injured or suffocate. Also, these animals can try cotton candy for the taste and swallowing it to make serious problems with the internal organs of the digestive system. 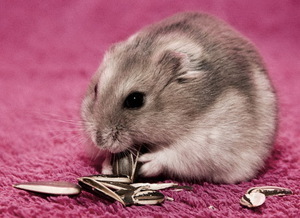 Instead of wool, hamsters can be given napkins or pieces of paper. These materials are ideal for decorating nests and not dangerous to the health of the pet. As with all Pets, Djungarian require attention and care on the part of the owner. Try as often as possible to communicate with your pet, periodically let out to run around the room under close surveillance. It is best if the hamster will run around on the bed or sofa, and all the cracks are tightly closed. Due to its small size, gungari can climb anywhere, so you should be careful when walking around the apartment. Many hamsters have weak hearts, so should not be placed in the house of Jungaria near a computer, radio, TV and any other devices capable of noisy behave. These creatures simply can not tolerate loud noises. Also, do not put the cage close to Windows or on the window sill. Direct sunlight is unpleasant Djungarian hamsters and a bad influence on their health. Timely cleaning of the house pet is able to extend his life. Make sure that the cell does not accumulate too much garbage and waste hamster. To completely clean the house once a week, the waste can be removed every two days. 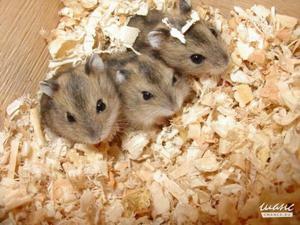 Physical activity must be present in the daily routine of any Djungarian hamster. Being in a confined space is bad for the health of the rodent, since the lack of activity affects the body tone and condition muscles of the pet. In order to gungari had the opportunity to run as he pleases in the cage is to install a special wheel and mazes for rodents. These devices will serve as a good exercise equipment for your hamster and lift him up, so as to run and overcome obstacles much more interesting than just sitting in a cage all day. A balanced and properly prepared diet is a very important factor influencing the life expectancy of the Djungarian hamster. In veterinary stores in commercially available dry food for rodents. They are created by experts based on the needs of certain animal species and are ideal for feeding Pets. In addition, the hamsters diet should include fresh vegetables and fruits. Tangerines, oranges, lemons and other citrus fruits. They are not safe for the health of Jungaria and can cause problems with the stomach and digestive system. Since hamsters are considered to be victims rather than predators. Some owners of these lovely creatures are missing one important point in feeding Jungaria. These kids, like all living beings on the planet needed protein. Therefore, the diet of your pet, be sure to include meat. Feed meat products hamster should be several times a week. Also Jungarian the necessary vitamin and mineral supplements. But it is not necessary to decide how often and in what proportions to give the hamster vitamins. With this issue you should contact your veterinarian. A specialist can determine what elements are not enough for your pet. Among the many owners of pet rodents is widely believed that these animals do not need to give water. That’s not true, Pets require anytime access to fresh and clean drinking water. Of course, on how long you will live your hamster in the first place affects his health. Disease can undermine the immune system of even the most healthy and strong Jungaria. The hamster was lethargic, decreased its activity. Pet was too much to sleep or just lie in the nest. Deteriorated condition of the coat. If you found one of these signs your hamster immediately contact your veterinarian. The sooner the specialist will determine the cause of the illness and begin treatment, the more likely it is that gungari faster recover and recover. 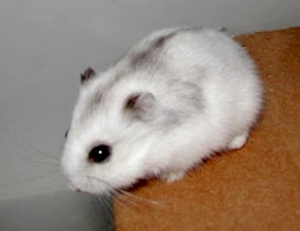 Djungarian hamsters are very active and nimble animals, sometimes they are difficult to follow. This pet is not worth anything to hurt or break a leg while running or falling from a great height. The main thing is to learn one thing — do not play with the poor animal in Dr. Dolittle, don’t think that “no man will quickly overgrow”. Don’t put the pet to suffering and injuries immediately consult the vet. Drugarice prone to colds. It is easy to identify them, a sick animal will often breathe, sneeze and cease to be active. All medications hamster will prescribe only a specialist, you may want to add in the diet of the pet more fruits to strengthen the immune system. If you notice that a hamster was bad to eat, but the activity was not affected, it is likely that he had problems with teeth. Pet can break a tooth or hurt mouth during eating. Also, often Djungarian much grow teeth and begin to interfere with eating or cause discomfort. This problem can be solved by visiting a veterinarian — he will rasp the teeth to the needed length.